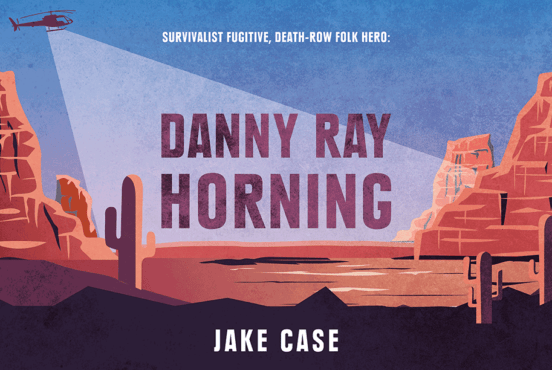 For most of us, there’s no replacement for a good companion when taking a weekend out-of-town or an extended road trip, especially when that companion walks on all fours and howls at the moon. Traveling with your furry friend in the Southwest is the best; that is, until it comes time to find a place to stay. Strict no-pet policies may have you turning toward a shady rundown motel to rest your weary head. That’s not exactly the definition of comfort. Fortunately, Arizona has no shortage of rustic retreats allowing pets. We’ve rounded up a list of some stellar pet-friendly cabin rentals around the state. 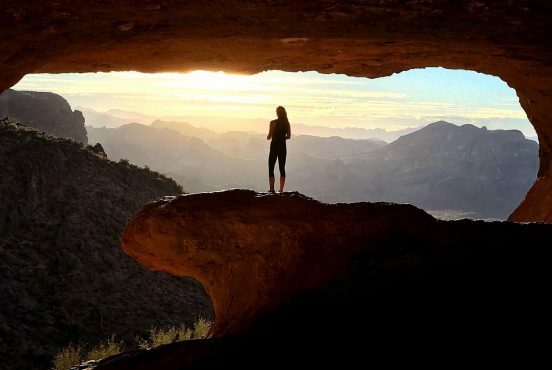 Whether you’re exploring the Grand Canyon, escaping the city in the Tonto National Forest, or searching for an outdoor getaway, there are plenty of options available to you and your pup. 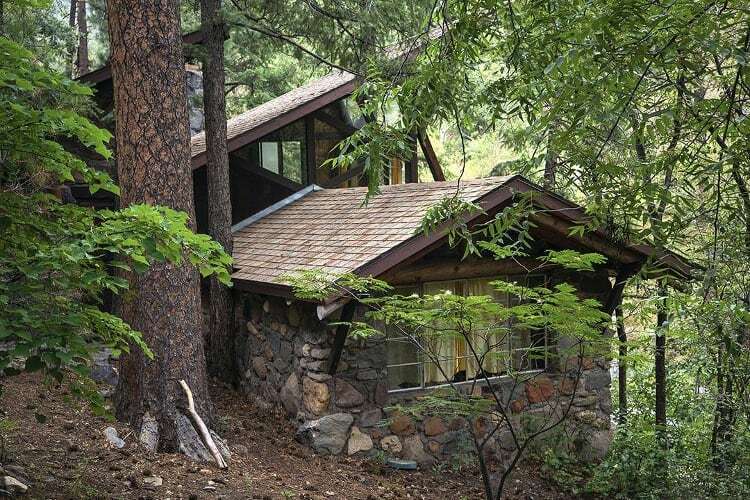 Located in Oak Creek Canyon off Highway 89A, the Forest Houses Resort is a tranquil paradise nestled in the forest just yards from the creek’s waters. The 20-acre woodland property features stunning geological formations and several varieties of shade-offering trees including giant Ponderosa pine, willows, maples, and seven oak varieties. Whether it’s just you and your pup or a group of 10, you’ll have your pick of 12 different pet-friendly accommodations. Each has a cozy fireplace and is not far from the creek itself. You can relax creekside with your pup while you enjoy a lazy afternoon of fishing and exploring the canyon, or stretch your legs on one of the nearby trails. A large grassy area in the middle of the resort offers the perfect place to soak in the scenery and beautiful canyon walls. Here at Territory Supply, we’ve been big fans of the Forest Houses Resort for over a decade, and it’ll be our home base for vacations in Sedona and Oak Creek for years to come. If the 1970s A-Frame Mountain View Cabin looks familiar, it’s because it was the set of an American Eagle Outfitters campaign — and at a glance, it’s not hard to see why. This picturesque cabin is precisely what you would want from your rustic getaway. 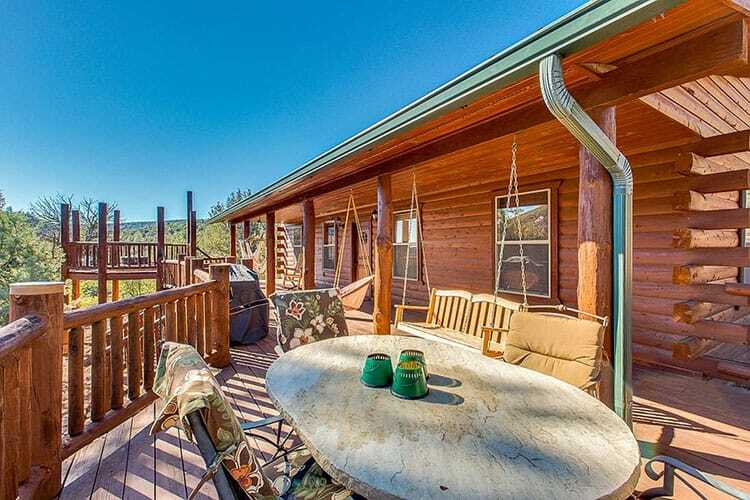 Backing the Coconino National Forest on the eastern outskirts of town, this cabin offers a scenic mountain view from each room as well as all three decks. It features a gorgeous wood interior, beckoning wood stove, a telescope for stargazing, and plenty of space both inside and out for your pet. 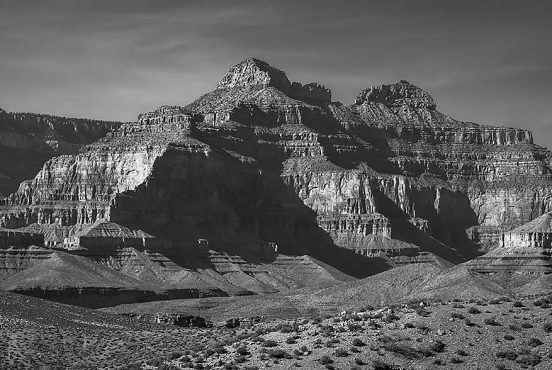 While it’s tempting to not leave the cabin on your visit, there are plenty of attractions nearby, including a 15-minute drive to downtown and a 90-minute drive to the Grand Canyon. We should mention, Travel and Leisure named it as the most wished-for Arizona Airbnb property, so you’ll want to make reservations well in advance. For those who crave an escape with all the modern amenities, consider the Eagle’s Nest Hillside Retreat. 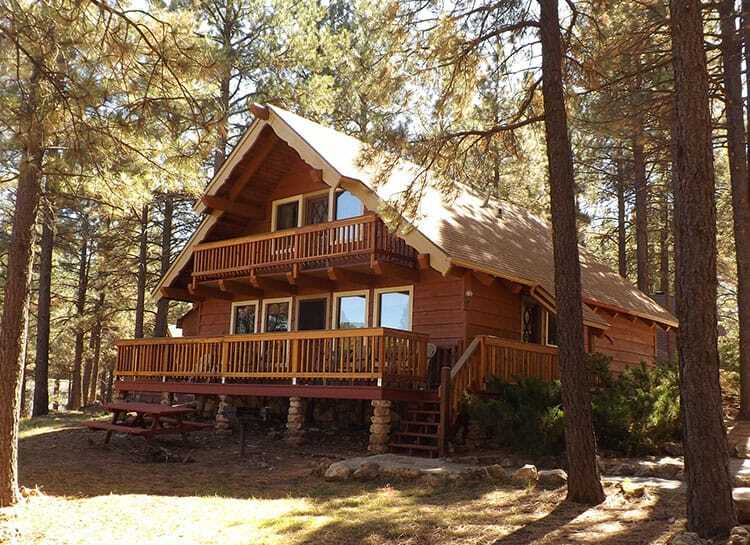 This secluded cabin is located in Payson not far from Tonto National Forest. 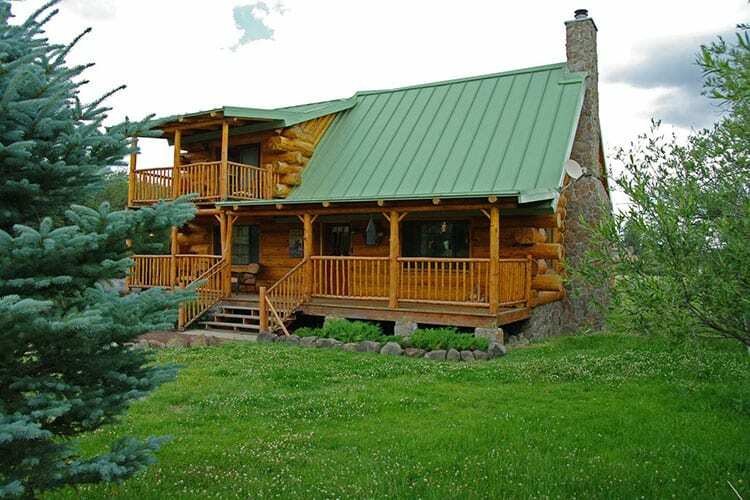 You can have the pleasure of staying in a real log cabin minus the questionable out-of-date amenities. The inside is nothing short of extravagant what with the oil-rubbed bronze fixtures, cherry cabinetry, and granite countertops. What you find on the inside is only match by the retreat’s surroundings. 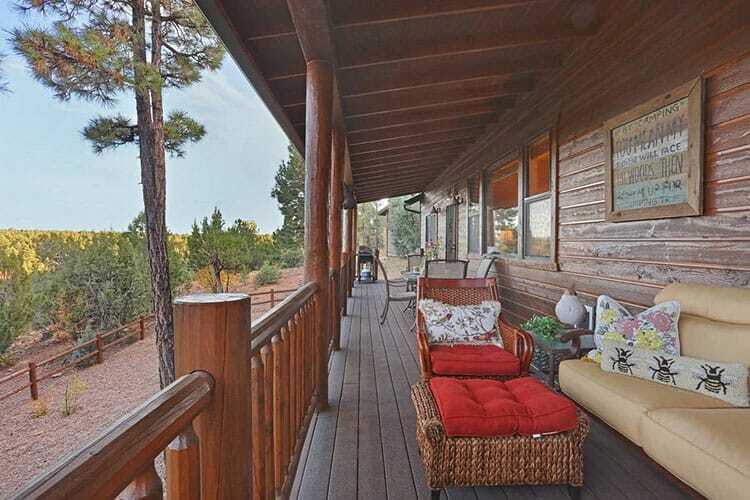 The large deck lets you breathe it all in while you gaze at the hillside flooded with pine and juniper. Designed to give you a 360-degree-view of it all, this is more than a retreat: it’s a sanctuary. We can’t all afford to live in luxury, but for a few nights, you can pretend you’re a high roller with this upscale Show Low cabin. A southwestern vibe with a woodsy theme, this cabin offers it all and with a view too. Name the amenity you want and this cabin’s got it. There’s a 64” TV, WiFi, jacuzzi bath, washer and dryer, and a kitchen equipped to serve a crowd. There is also a fenced backyard for your furry guest. For those wanting the comforts of home along with their outdoorsy experience, this is it. While you won’t exactly be roughin’ it in this cabin, this would be an ideal accommodation for a family reunion and your well-behaved pets. 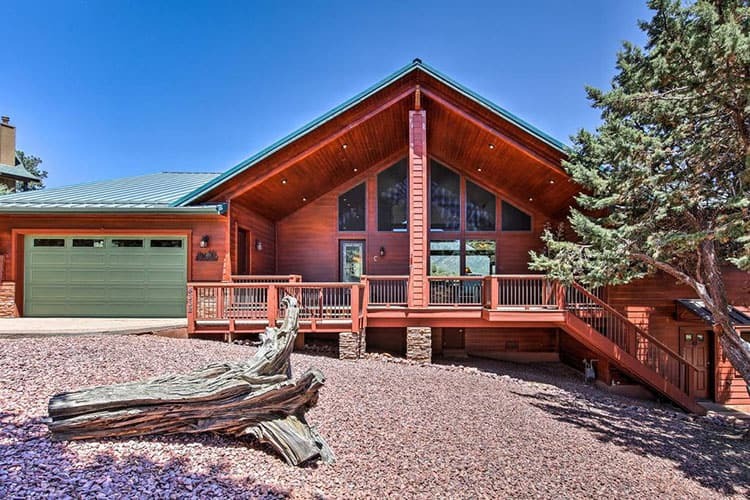 Munds Park Mountain Retreat is situated 20 minutes south of Flagstaff right off Interstate-17 making it an incredibly accessible home base. Immaculate and pristine, this bright airy cabin is the perfect retreat for the family wanting the mountain feel while they explore nearby attractions. It’s got a spacious wood floor living area, indoor fireplace, modern kitchen, carpeted bedrooms, wrap around deck complete with an outdoor grill, and large south facing windows so you can take in all the natural beauty day or night. While staying at this community retreat, guests can get their outdoor fix in with nearby ATV, mountain biking, and hiking trails. Or you can take a short drive down to Sedona and bask in the glory of the red rocks. If good eats and gift shopping is more your thing, Flagstaff is only a short drive away. Whether you can bring your pet with you on your daily itinerary or not, they’ll enjoy this space as much as you. For those looking to get back in touch with nature, with the option of Wifi of course, the Rustic Prescott Cabin awaits. 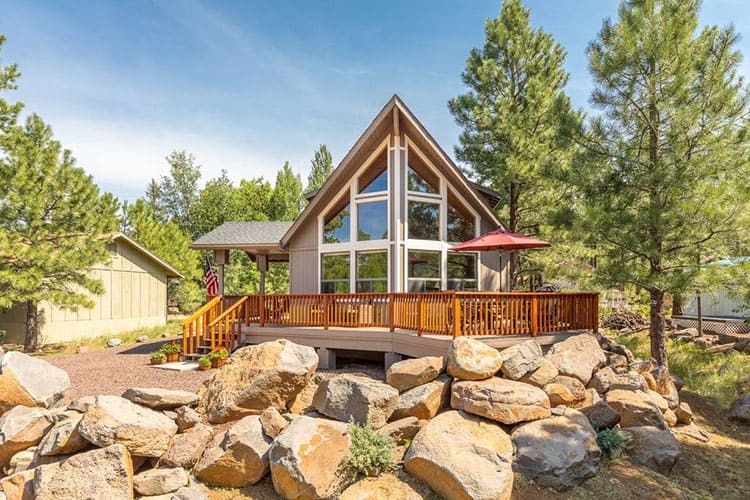 This two-story cabin has a stunning living space featuring cathedral ceilings, wood interior, and gorgeous central wood burning stove. If that alone doesn’t sell you, the forest view will. You can rise and shine to mother nature inside and out with the floor-to-ceiling windows and 1,000-square foot deck. Kickback and breathe in the fresh scent of pine while you gaze into the trees for signs of wildlife about. If the kids and pets just so happen to be ruining your relaxing morning, send them off to play in the woods or up to the loft where they can distract themselves with board games, foosball, or a 60-inch flat screen TV with Blu-Ray player. Either way, this is one cabin in the woods the whole family will enjoy. Raise your hand if you crave fresh powder but can’t stand the thought of being cooped up with your pet in a cheap motel? We hear you. This is why we recommend taking a gander at the Gorgeous Mountain Home up on Mt. Lemmon. 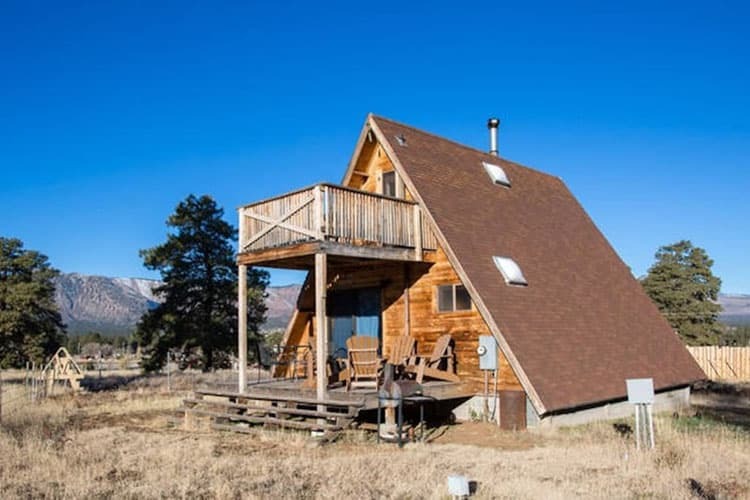 Near the small town of Summerhaven, this cabin is only minutes away from Mt. Lemmon Ski Valley. It’s got the cabin vibe you crave with all the basic essentials and outdoor setting you desire. Not into snowy slopes? This cabin is truly a summer haven too. 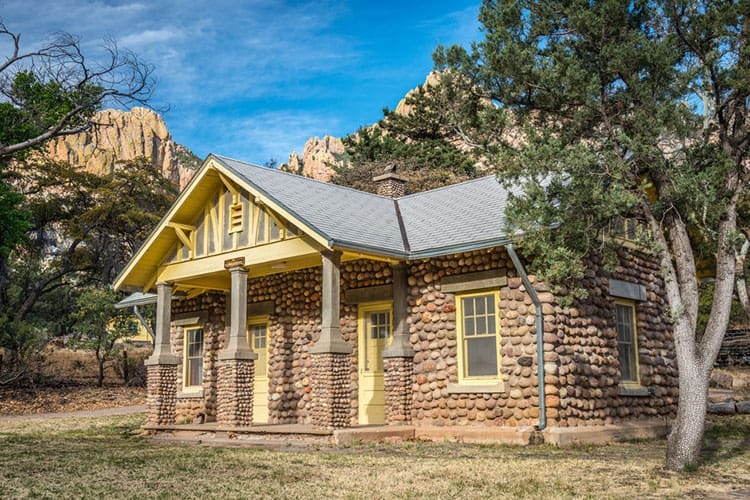 Located atop the Santa Catalina Mountains, the cabin and region offer plenty of wilderness and hiking to ease your mind. When you’re ready to retire for the day, come home to be greeted by your happily waiting pet and the tranquil sound of the stream running nearby. The one bummer about visiting the Grand Canyon is most trails are off limits to pets. While we completely understand, you’re going to need to keep them somewhere, so why not make the most of it with Moose Manor? 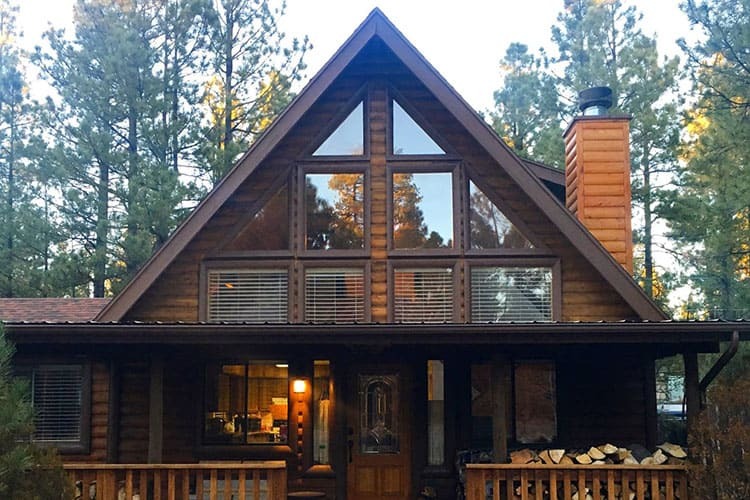 Located among the tall pines, this cabin is just minutes from Williams, and about an hour from the Grand Canyon South Rim. Surrounded by the spectacular beauty of large pine trees, this manor is as much about proximity as it is amenities. The cabin includes two full bathrooms, darkening shades, grand stone fireplace, equipped kitchen, and floor to ceiling windows in the living room. 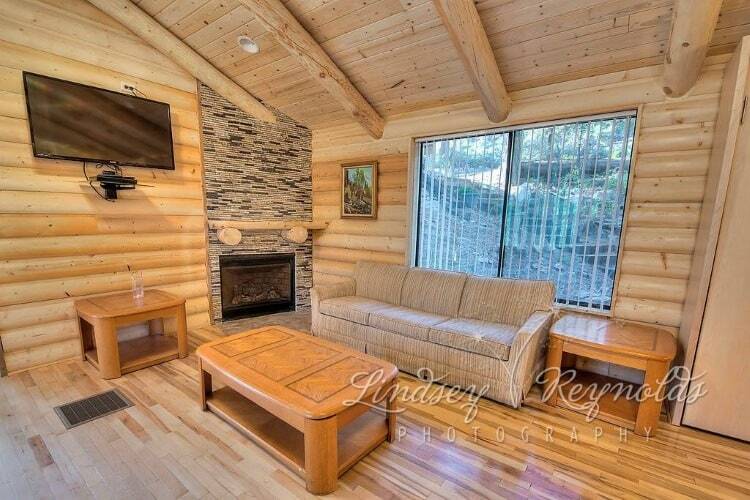 This is your comforts-of-home meets mountain escape. If you’ve ever wondered whether or not all those homes you see on TV are as stunning in real life, then now’s your chance. 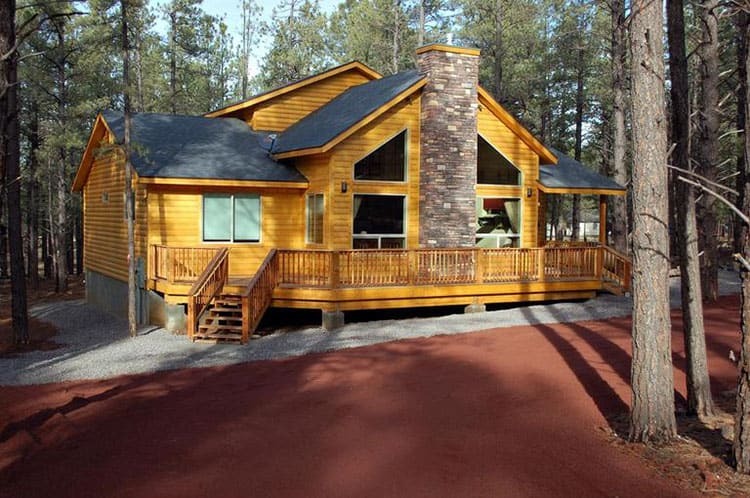 Featured on HGTV, the Pinetop Mountain Retreat is available as a vacation vacation rental too. This airy 3-bedroom A-framed home features new wood floors, granite countertops, and a fresh coat of paint. Invite the whole family and cozy up with some hot cocoa for a night around the fireplace. 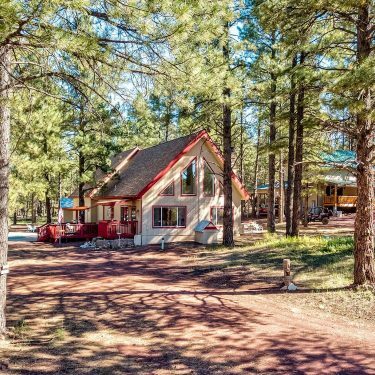 Located in a forested cul-de-sac and stone’s throw from the Apache-Sitgreaves National Forest, this mountain retreat is exactly what you need to decompress. No roughin’ it? No kidding. 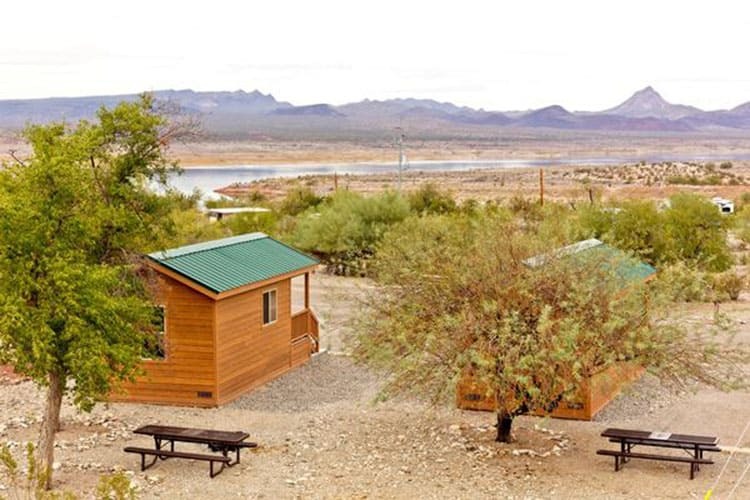 This southwestern cabin is fully stocked with all the amenities you could want and then some. From the pillow-topped mattresses to the brand new stainless steel cookware to the killer outdoor entertaining area, you’ll be living the high life. While some of the other cabins may offer similar comforts, this one does so in style. Every inch of the No Roughin’ It cabin is filled with red rock inspired artistic decor giving it a special touch. The incredible location also doesn’t hurt. 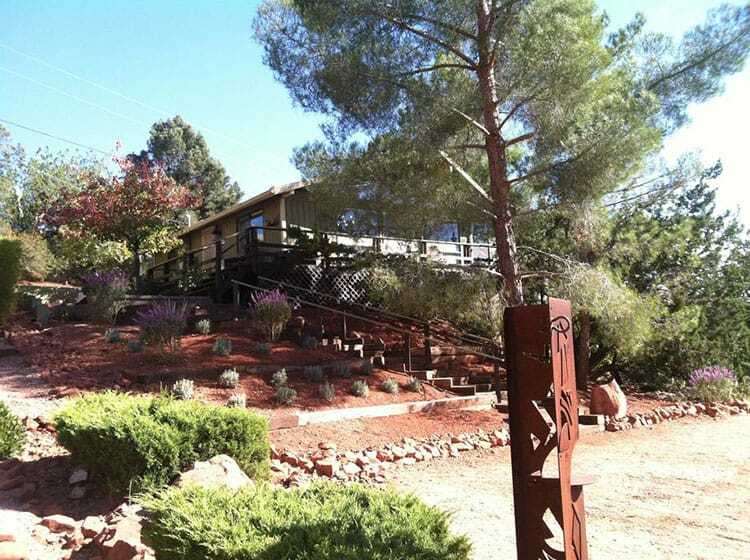 Smack dab in the heart of Sedona, you can view the red rocks from the deck and access them within a few minutes walk. Hosts Ted and Nancy have turned the Little Ponderosa Cabin into a dream come true. While other cabins may disappoint with kitschy decor or an overly populated setting, this cabin nails it. From the outside, it bears a remarkable resemblance to a Lincoln Log cabin, while the interior more than meets visitors’ expectations. Speaking of expectations, let’s talk location. 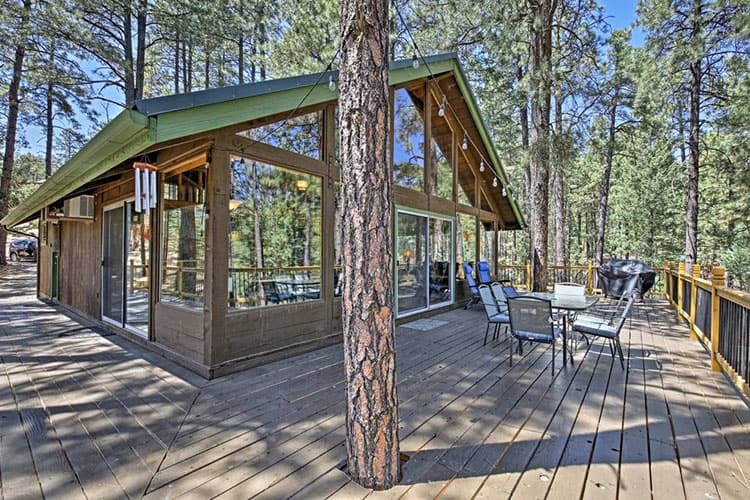 Little Ponderosa is tucked away in a remote setting in Greer at an elevation of 8,500 feet, with the nearest town being 20 miles away. Does it get any better than this? Be mindful: you are surrounded by nature so there is wildlife about. Proper storage of food is a must. You will also need a burn permit from the Greer Fire District if you choose to use the outdoor firepit. If you’re looking to pamper yourself, your guests, and your pet, shack up at the Dancing Bear Lodge. This place is simply draped in luxury. There’s a grand rock fireplace, inviting leather couches, knotty pine siding, and of course a clawfoot bathtub. Take a walk outside and you’ll find the outdoor furnishings are even more impressive. With another fireplace, dining table, entertaining area, and spa, you’ll have difficulty deciding whether to be in or out. At 2,239-square feet, this secluded home is ideal for the friendly bunch looking to throw down on a killer pad for the weekend, pups included. The Buck N Ham Palace certainly lives up to its name. This massive house has enough room for 12 guests and your furry friends. It has an open floor plan, large dining and living room area, spacious deck, and front picture windows with a forest view. Beyond the space, this cabin is all about location, location, location. For anyone looking to find ways to entertain the whole family, you can’t get any better than this. Located in Williams, you’re only a short drive away from exploring the Grand Canyon, shopping around Flagstaff, visiting Bearizona, hitting the slopes, taking a hike, tossing a line in the water, or taking advantage of a photo-op at Route 66. With enough activities to please everyone, it’s going to be an epic trip. The AZ Rim Retreat is luxury, comfort, and outdoor escape all wrapped into one. One look at this bright interior and you’ll instantly agree this place is penthouse suite status. It’s got plush leather seating, ceramic tile flooring, a floor-to-ceiling stone fireplace, and upscale furnishings. Step onto the deck and take a nap in the hammock, relax in the spa, or enjoy cocktail hour around the firepit. All this comes with a million-dollar view. If you do need to leave to stock up on provisions, the town market is one minute away, so you can get back to living VIP status in no time. 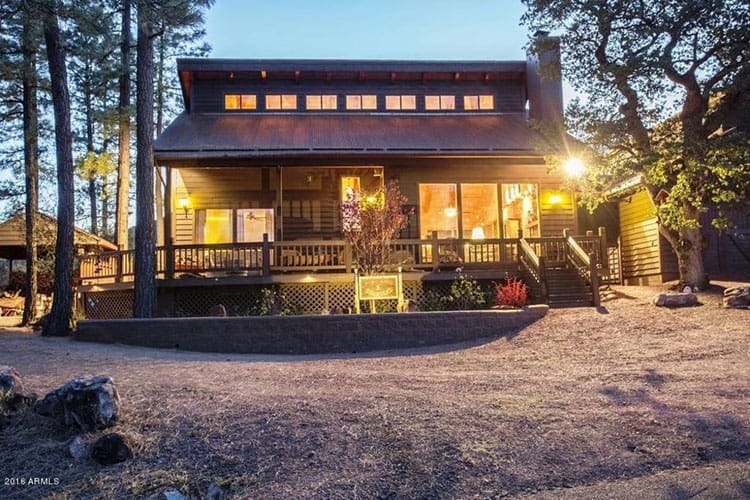 If the Little Ponderosa Cabin is all booked up, you’ll be happy to end your day’s journey at the Greer Lodge Resort & Cabins. The resort boasts being “Greer’s best known resort since 1948” and offers various lodging options, most of which are dog-friendly. 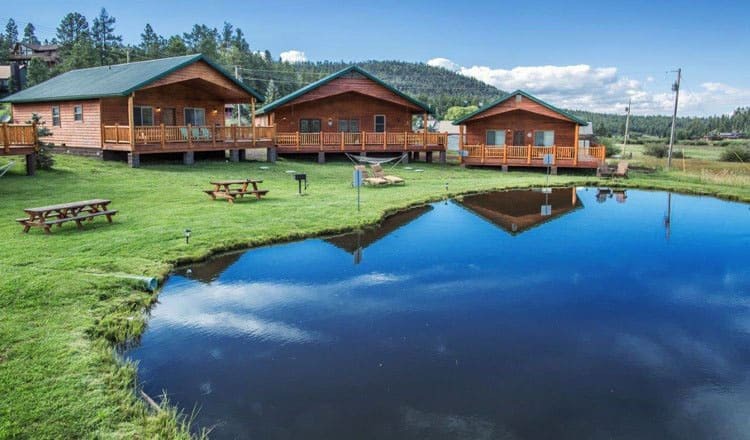 At this resort, virtually everyone gets a water view with the log cabins being right on the creek and the log motel having its own private pond. They can fill up quickly and suggest making reservations 30 days in advance. They also tend to offer some stellar discounts, so check their website or social media accounts for current deals. If you’re looking to visit Flagstaff but don’t want to stay in the heart of downtown, consider the Arizona Mountain Inn & Cabins. When the 13-acre property was purchased by Ray Wanek in 1948, town wasn’t so close by, much to his wife’s displeasure. To appease her, he built cabin #2. Over the years more cabins were built and eventually the property was sold to Brian and Mary Bostwick to become Arizona Mountain Inn & Cabins. Today, the property bordered by the Coconino National Forest remains peaceful — though Flagstaff has grown closer to the property’s edge. For those who want easy access to downtown without all the commotion, this is it. Lodging options range from B&B suites to those A-frame cabins we all love so much. 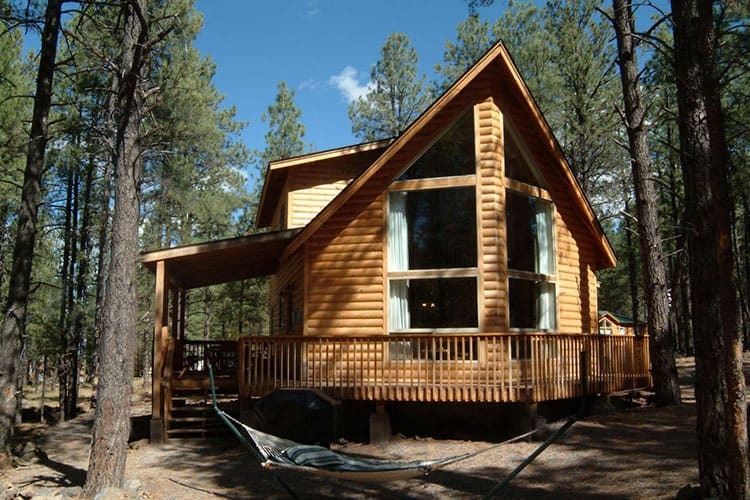 Book a visit and you’ll enjoy the peaceful scent of the Ponderosa pines while breathing in the cool mountain air. 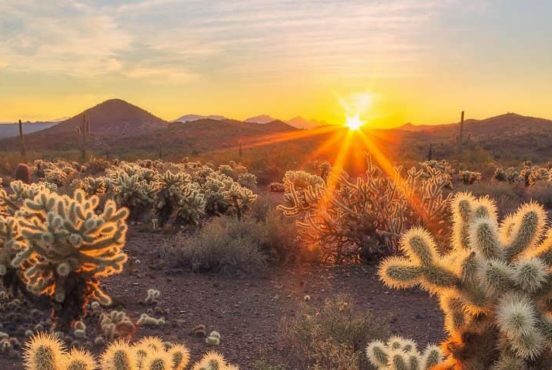 While renting a private residence comes with an array of perks, you can’t go wrong with booking a stay at any one of Arizona’s phenomenal state parks — the main advantage here being you’re already at your destination. You’ll have quick access to trails, fishing, and a variety of activities all in a unique setting. And, many offer cabin rentals so you won’t have to be roughing it in a tent. While all the state parks are worth a trip in our opinion, the main pet-friendly ones we recommend are Alamo Lake State Park, Dead Horse Ranch State Park, and Roper Lake State Park. Each of these offers quaint cabin rentals with enticing recreational activities right there at your doorstep. The Coronado National Forest is truly a remarkable place. It’s home to over 500 species you won’t find elsewhere. Reaching up to 10,720 feet in elevation, it’s home to a rather unique ecosystem throughout its eight different wilderness areas. Visitors exploring this region can experience virtually every recreational activity they can dream of, including horseback riding, mountain biking, skiing, sightseeing, boating, and hiking. Obviously, the best way to make the most of it is by skipping the long drive and booking a stay as close as possible. Although options are limited to those with pets, there are three accommodations you can choose from which are the Portal Bunkhouse, Portal CCC House, and Half Moon Ranch. 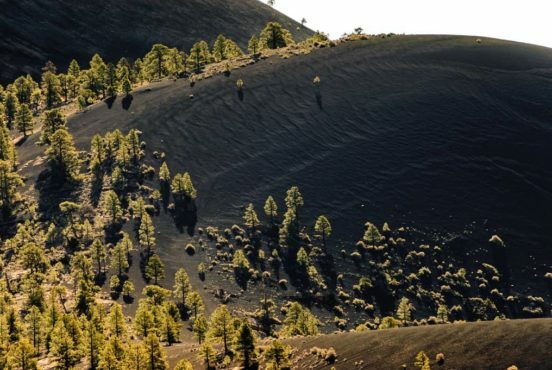 Whether your adventure is all about exploring the forest or indulging in your favorite outdoor activity, each of these three are guaranteed to enhance the overall experience. Looking for more to explore? Check out our favorite w, some of the most unique Arizona Airbnbs, a guide to Flagstaff hiking and where to stay near the Grand Canyon. 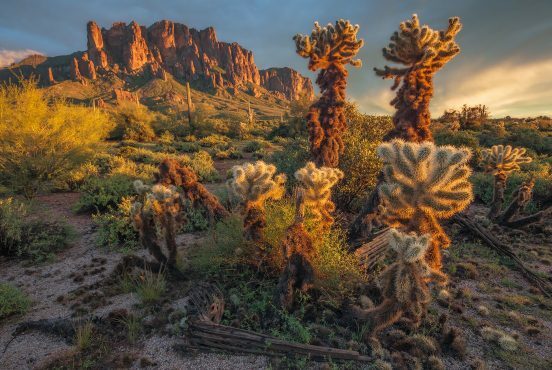 The Phoenix Sonoran Preserve is a little slice of wilderness surrounded by city. 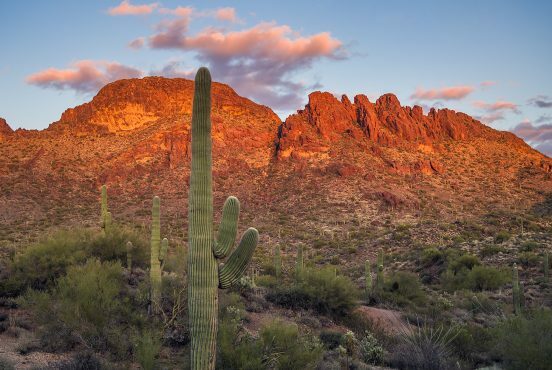 Nestled in northern reaches of the endless suburban sprawl of the Phoenix metro area, the Sonoran Preserve is often busy with hikers and mountain bikers. Beyond the confines of the park, views look out upon suburb neighborhoods, freeways, and strip malls. However, it is possible to escape the city and pretend you are out in the middle of nowhere. The Pioneer Living History Museum has an excellent collection of old buildings and period-accurate memorabilia, but for all its charm, it still feels like the town left behind. And that’s exactly the village’s appeal. 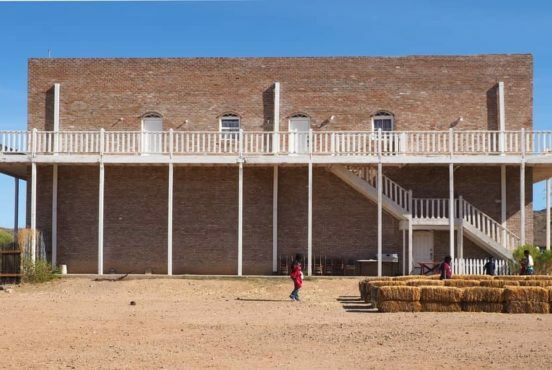 If you want a polished, movie-set version of the west, go to Rawhide. If you want the slow, weary pace of life in a frontier town never fully realized, the Museum has your number, and in that sense it offers a more realistic western experience than many tourist attractions in the metro area.